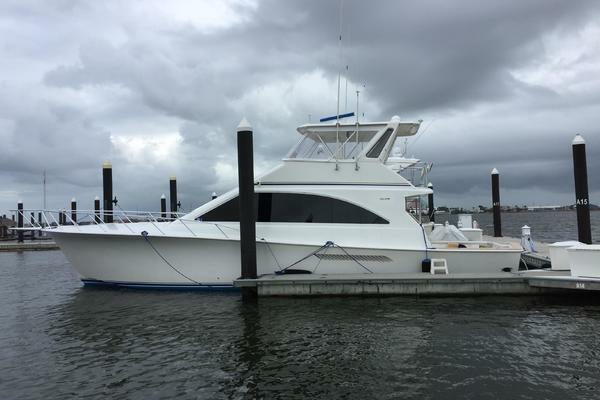 This is the best equipped and upgraded 57 Super Sport currently available. 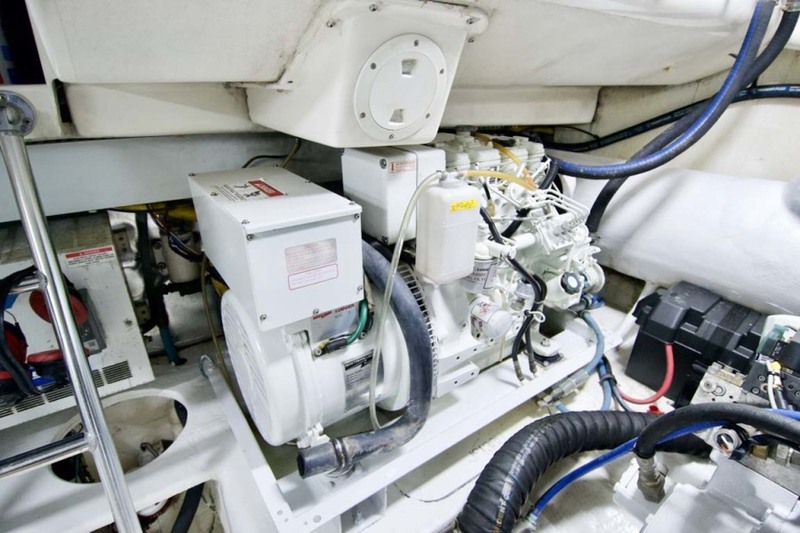 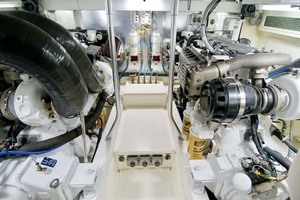 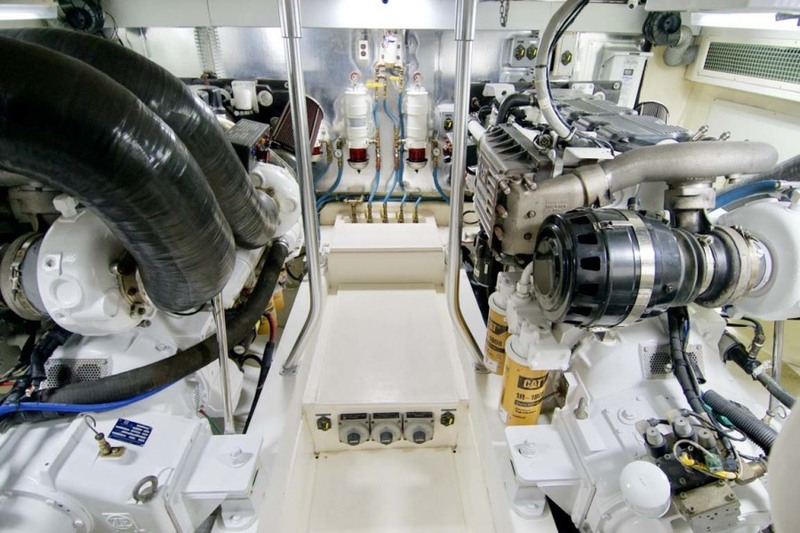 She is powered by the sought-after Caterpillar C18’s, all services up-to-date and ready for her next owner. 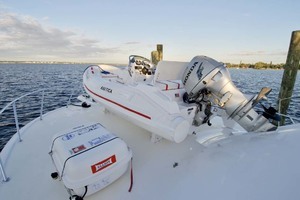 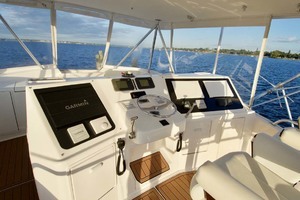 Her helm was just refit with custom carbon fiber panels and new Garmin and Furuno electronics. Some features include; 3 stateroom 3 head layout, New MarQuipt Davit with cradle, Vetus bow thruster, helm air conditioning, teaser reels, greenstick with bandit reel, Durabrite LED lights, SeaDek sole throughout, Eskimo ice maker, newer Northern Lights genset and so much more. 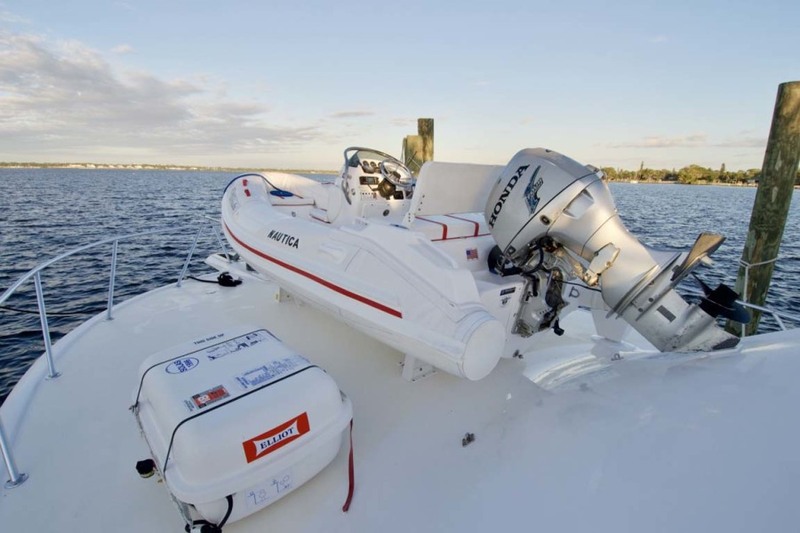 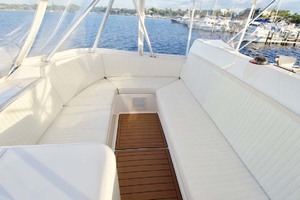 Don’t miss your opportunity to own this updated 57SS, call today to schedule your showing.Nautica Tender Included! 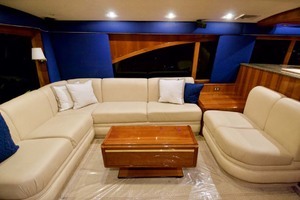 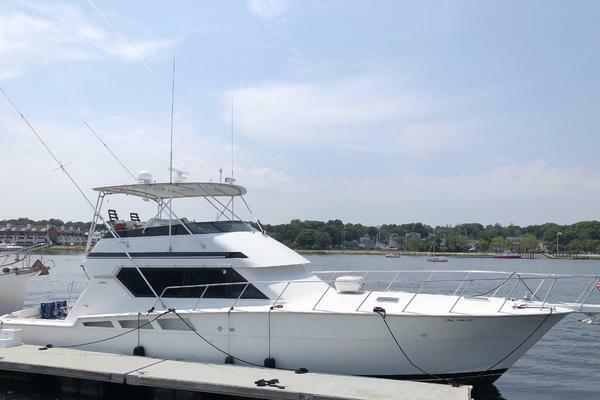 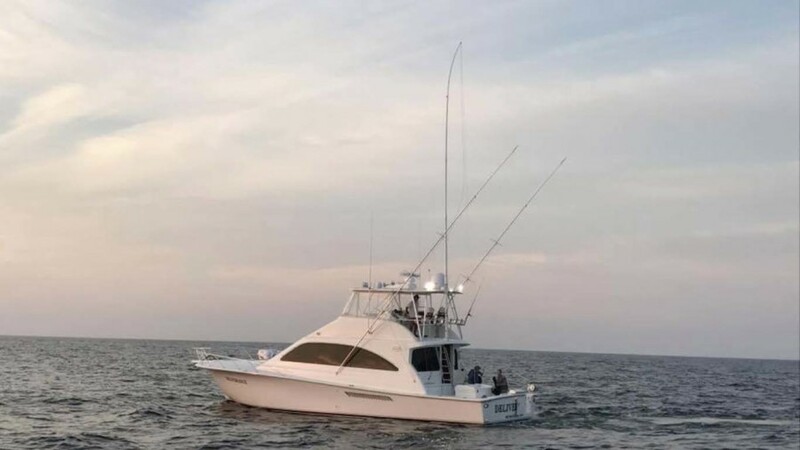 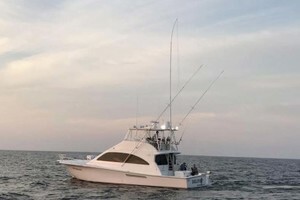 United Yacht Sales New Jersey would love to guide you through a personal showing of this 57' Ocean Yachts 57 Ss 2006. 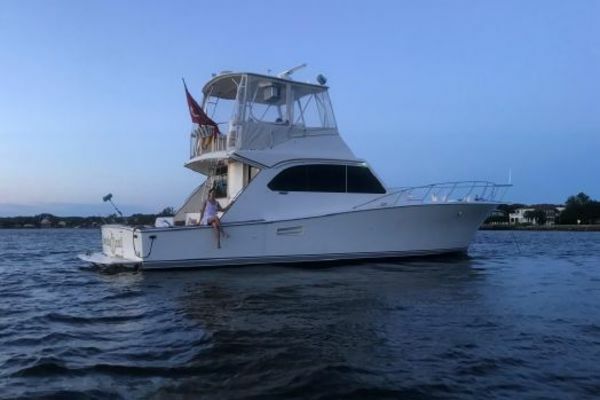 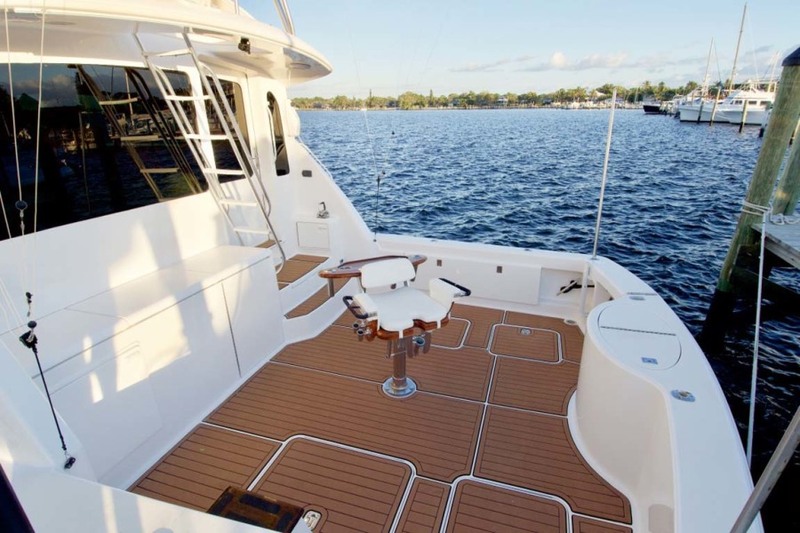 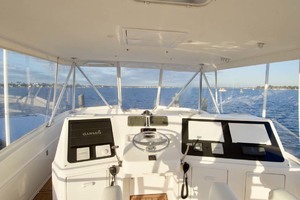 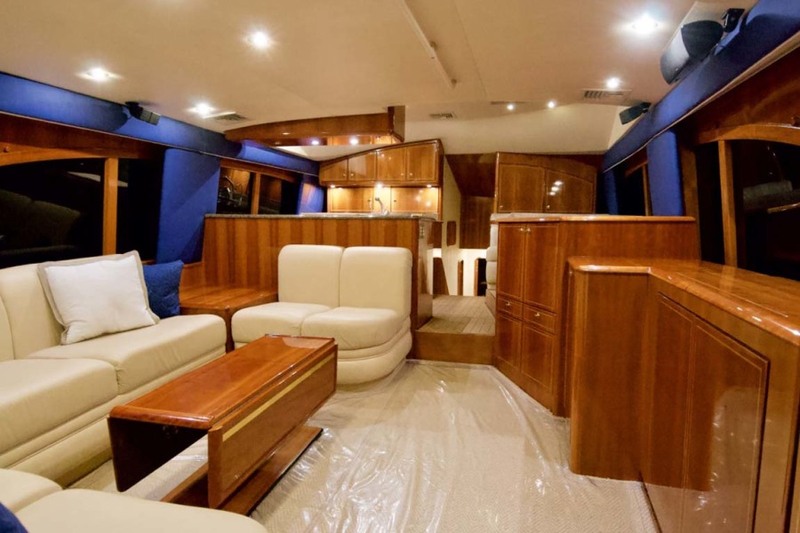 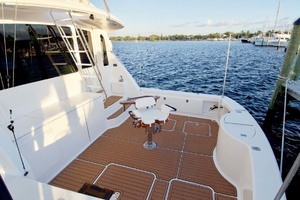 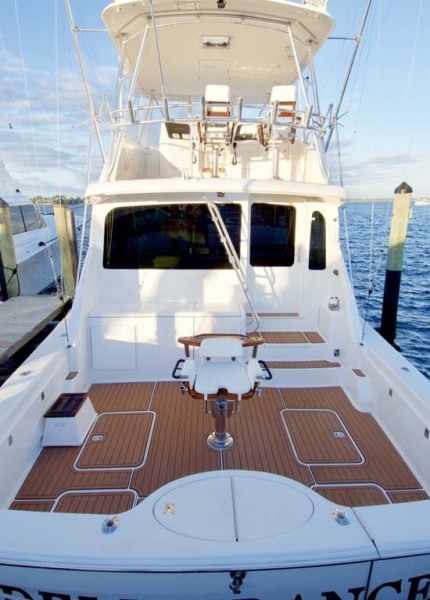 This yacht for sale is located in Stuart, Florida and priced at $599,900. For a showing please contact us by filling out the form on this page and we will get back to you shortly! 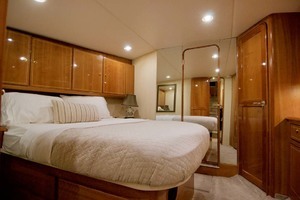 Deliverance features a three stateroom and three head layout, with a full beam master stateroom. 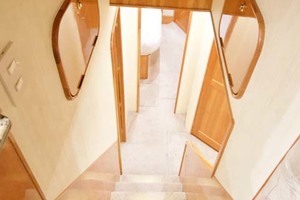 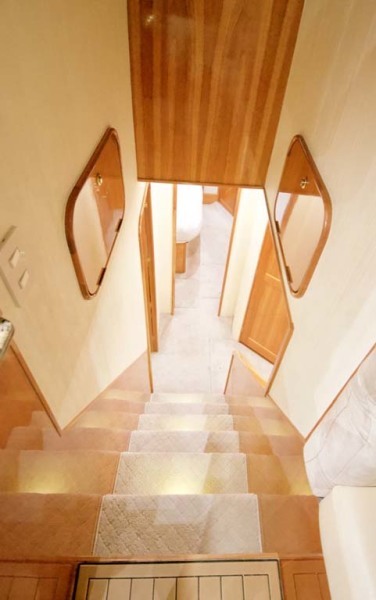 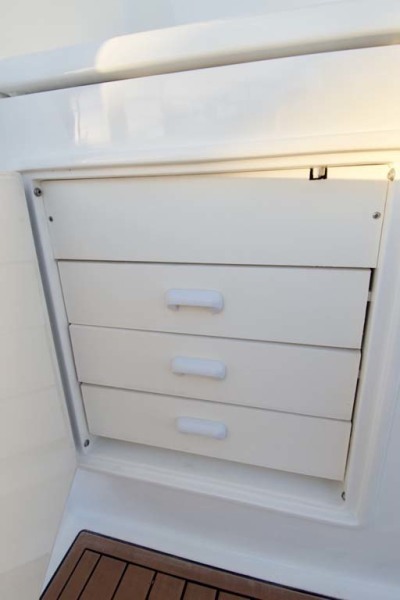 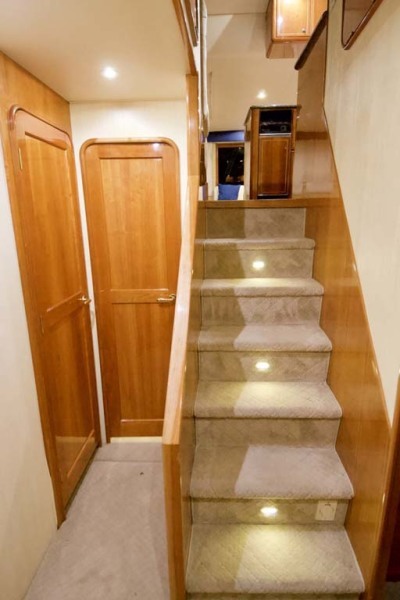 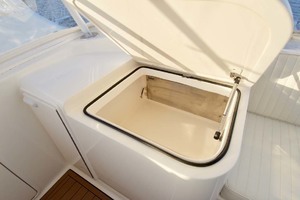 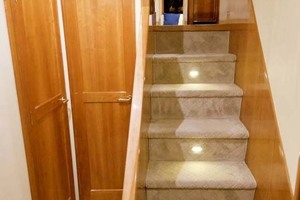 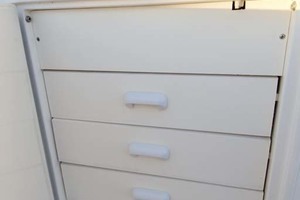 Built-in steps make boarding easy if you can’t utilize the transom door. 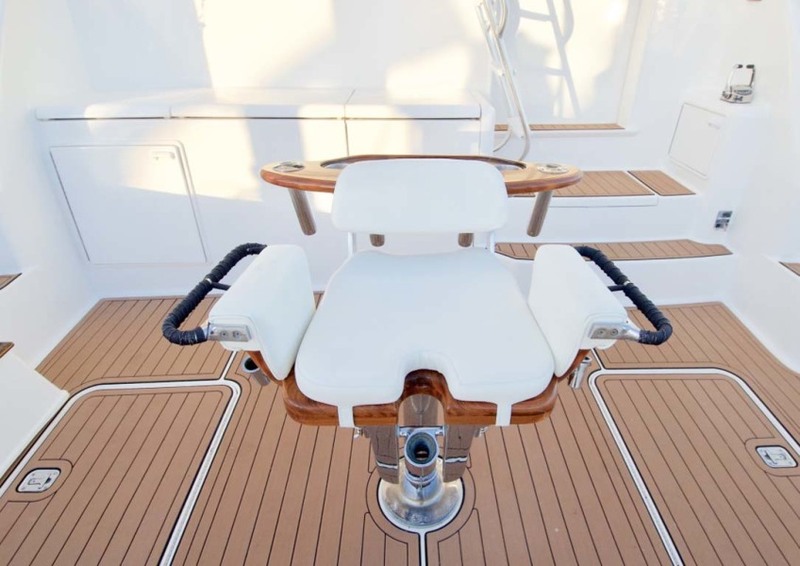 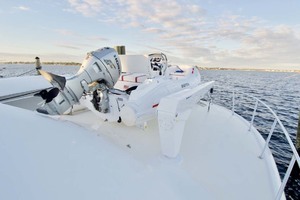 The cockpit is outfitted with a SeaDek sole, fighting chair, freezer, second station, molded livewell and tackle center. 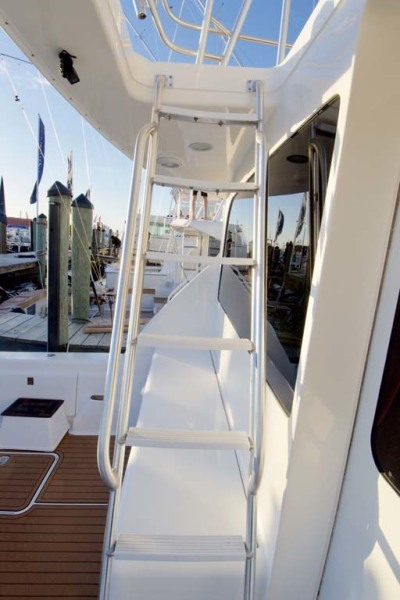 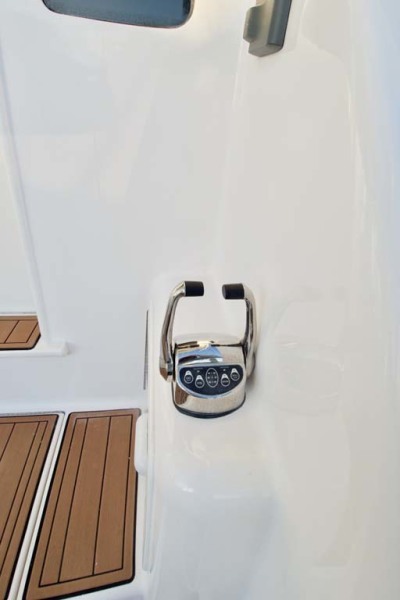 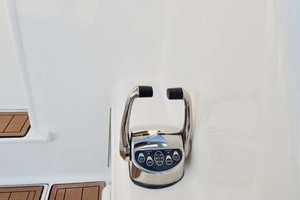 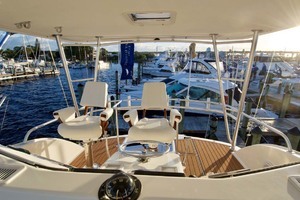 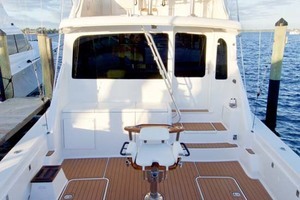 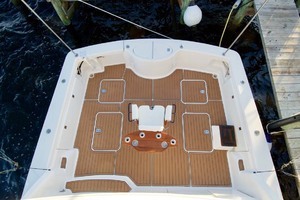 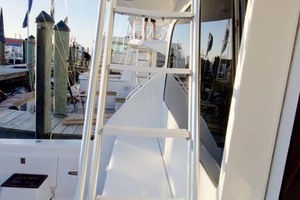 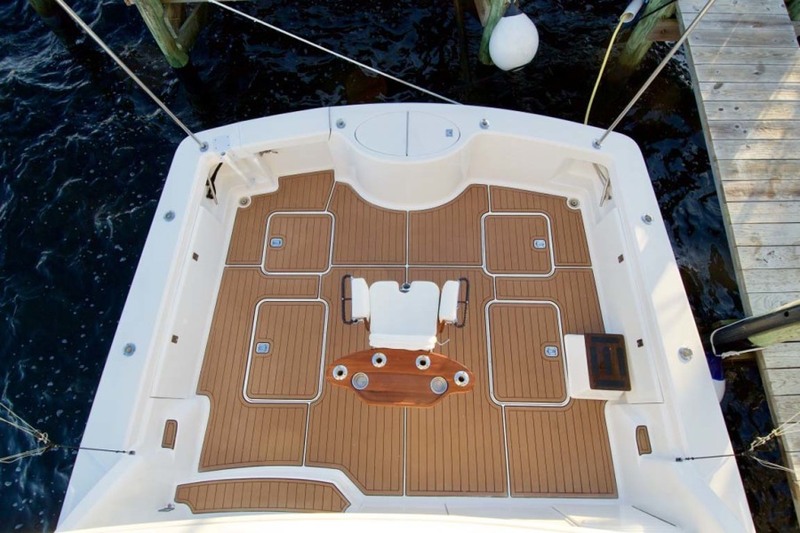 Flybridge entry is just steps away via an angled ladder along the aft bulkhead. The flybridge is equipped with a SeaDek sole, three-sided enclosure, dual helm chairs, refrigerator, air conditioning and ample seating for the all your friends.Salon entry is accessed via the starboard side sliding door. 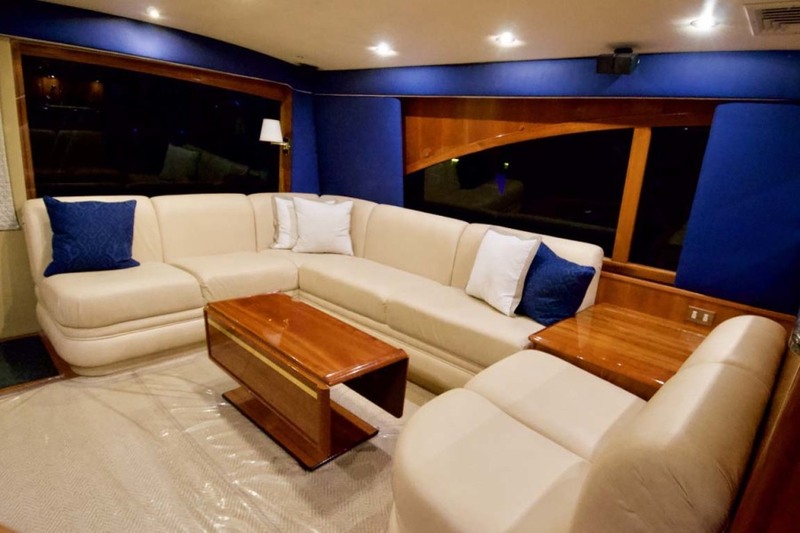 Upon entry you will find an uncongested layout featuring, an L-shaped settee to port and an aft facing loveseat. All salon seating features storage below. 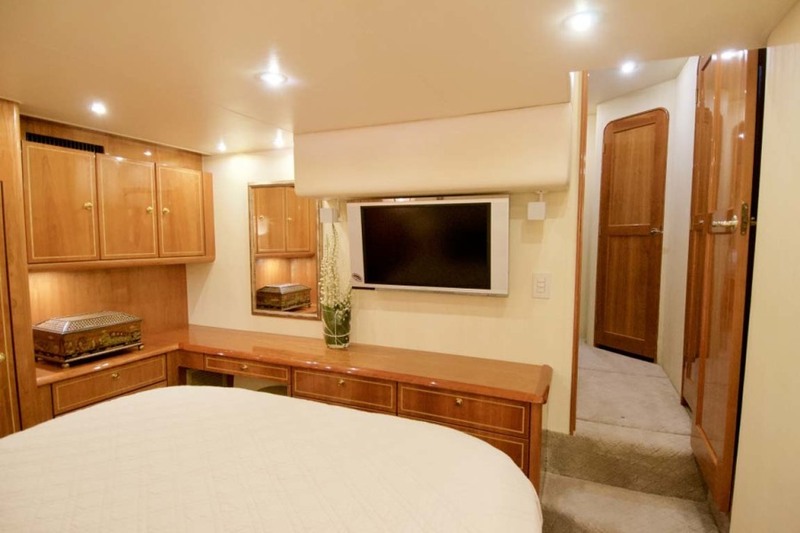 Some other notable salon features are; hi-lo teak table, pop-up TV, new valance upholstery and ice maker. 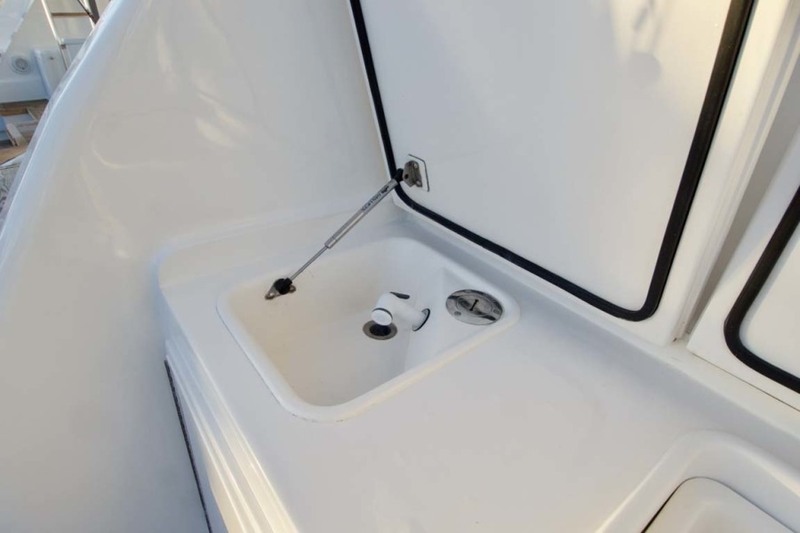 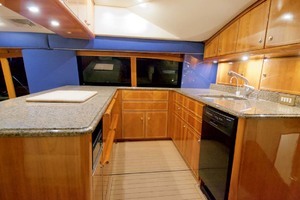 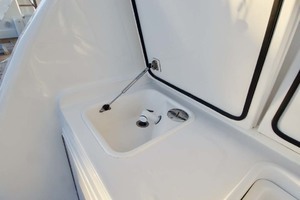 The galley is to port forward of the salon, features Sub Zero drawer style refrigeration, compactor, electric stove, dishwasher, ample storage and a SeaDek sole for durability. 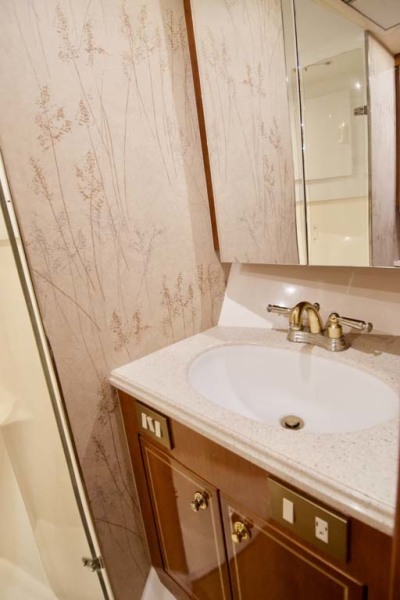 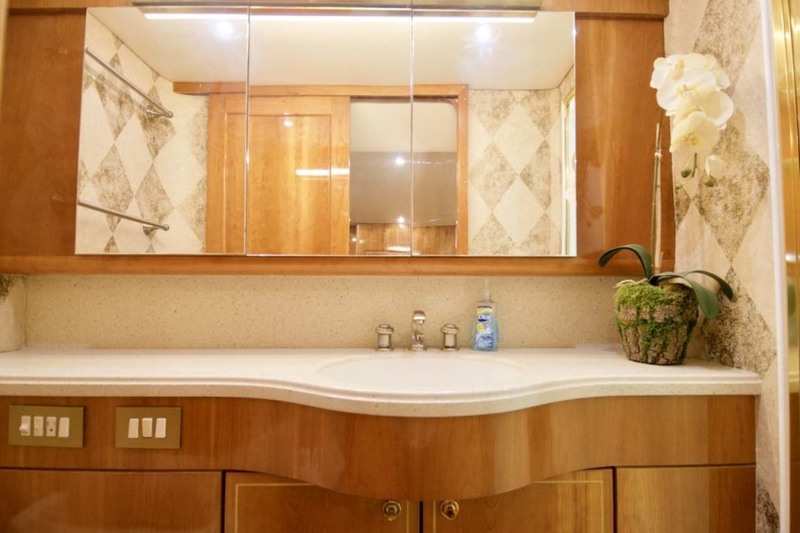 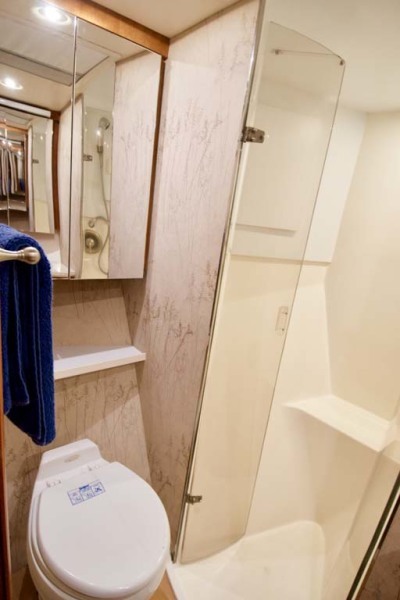 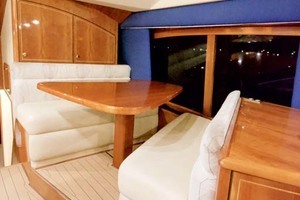 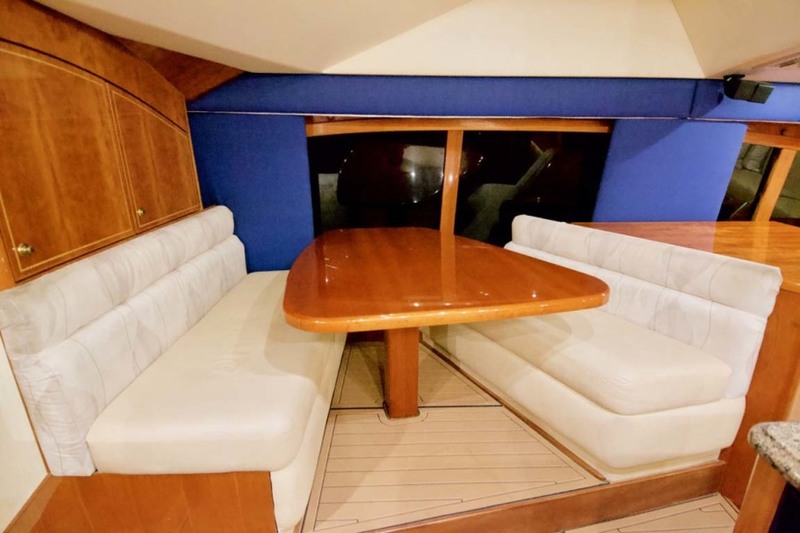 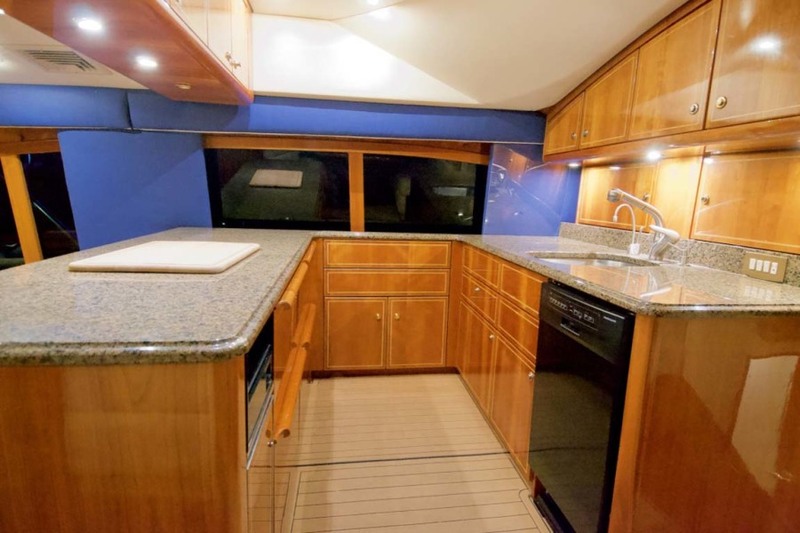 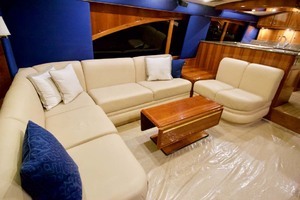 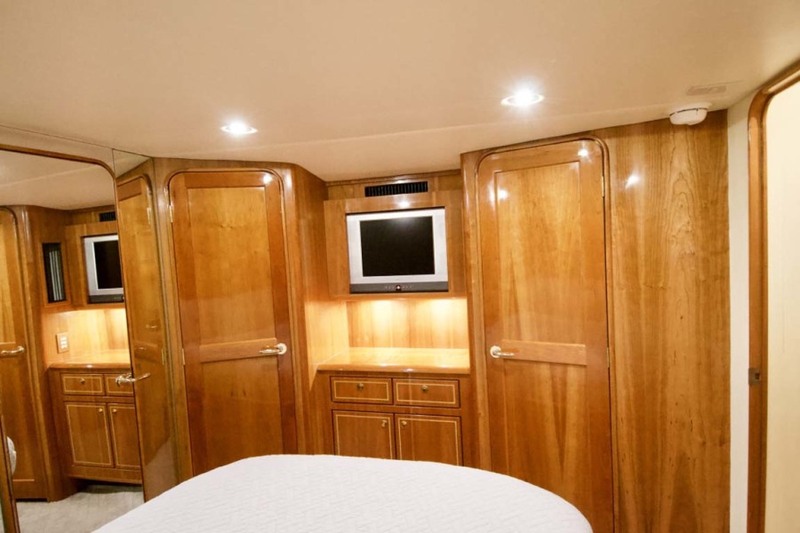 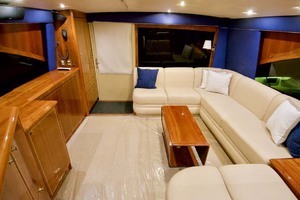 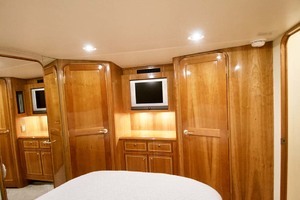 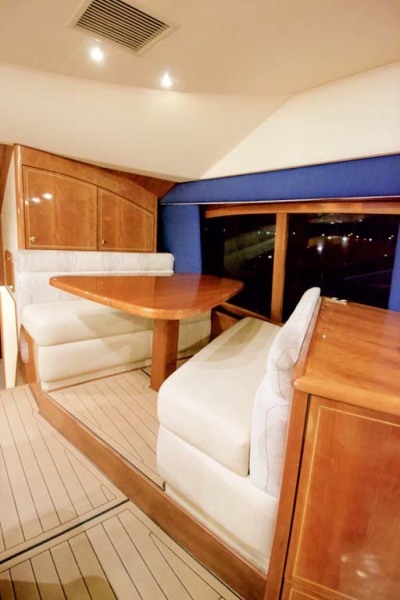 Adjacent from the galley is the dinette.Down the companionway steps, the guest stateroom is to port, it features dual side by side single berth separated by a hanging locker and equipped with a flat screen TV. 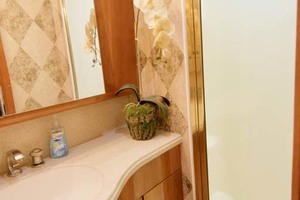 The guest head is just across the hall and is equipped with a full head and stall shower. 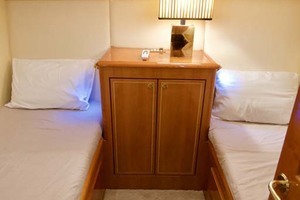 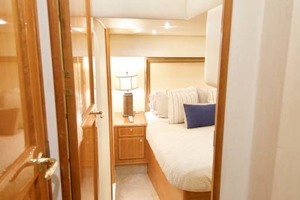 Forward is the VIP stateroom, it features an island queen style berth with built-in storage, ensuite head, dual hanging lockers, overhead storage and a flat screen tv. 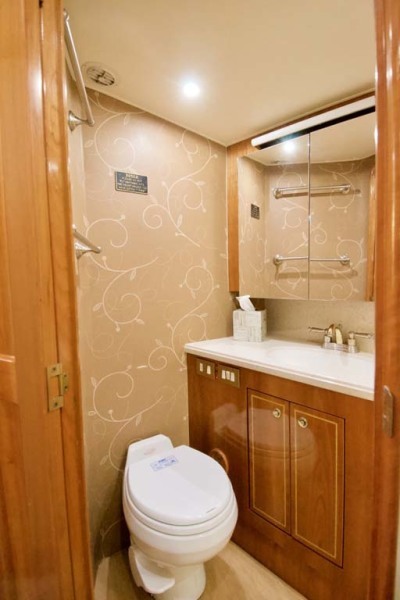 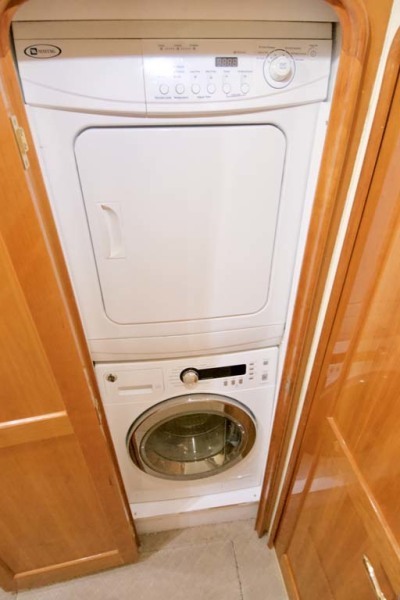 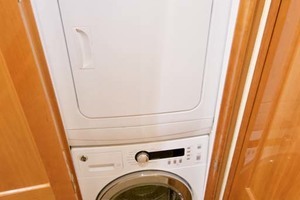 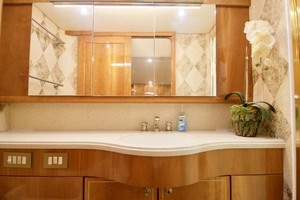 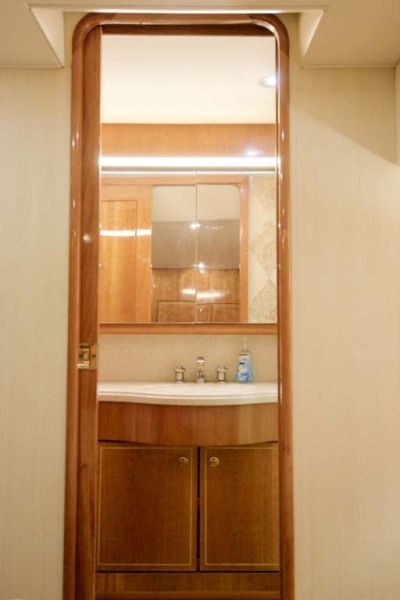 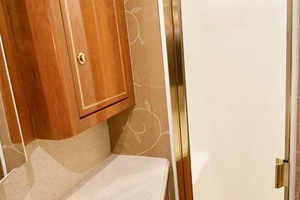 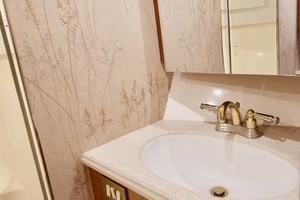 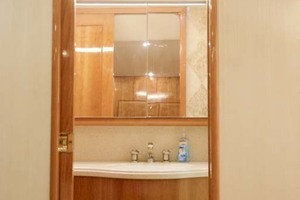 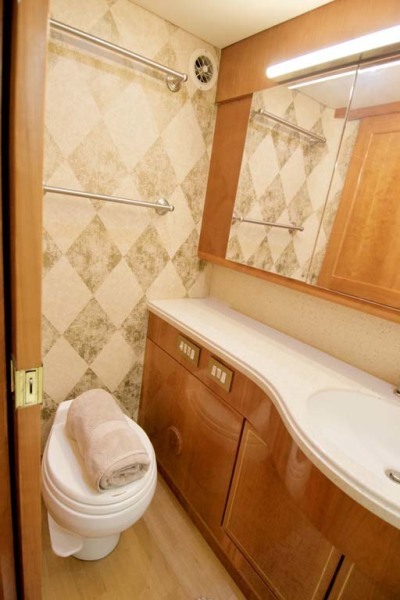 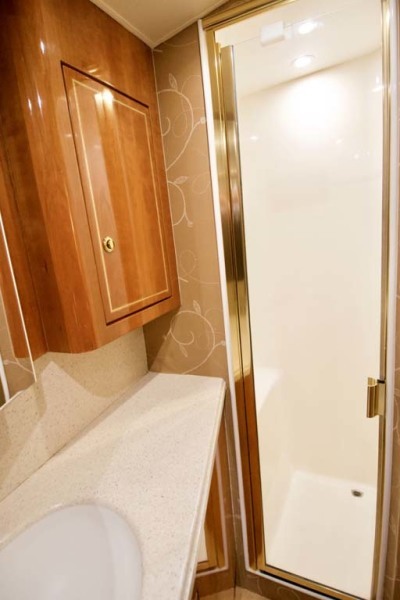 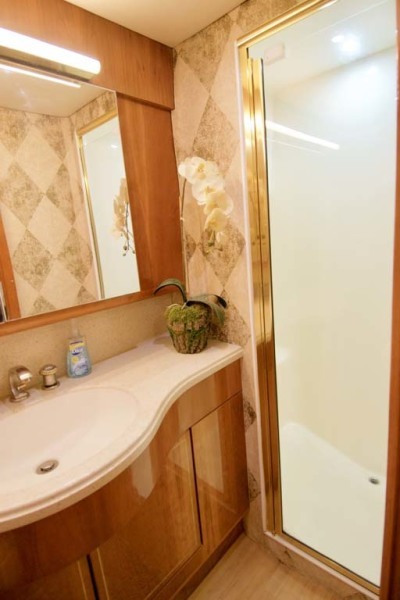 A washer and dryer are concealed behind a swinging door forward of the master stateroom entry. 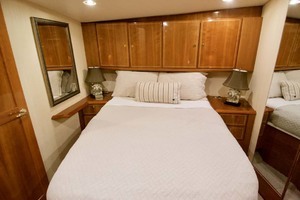 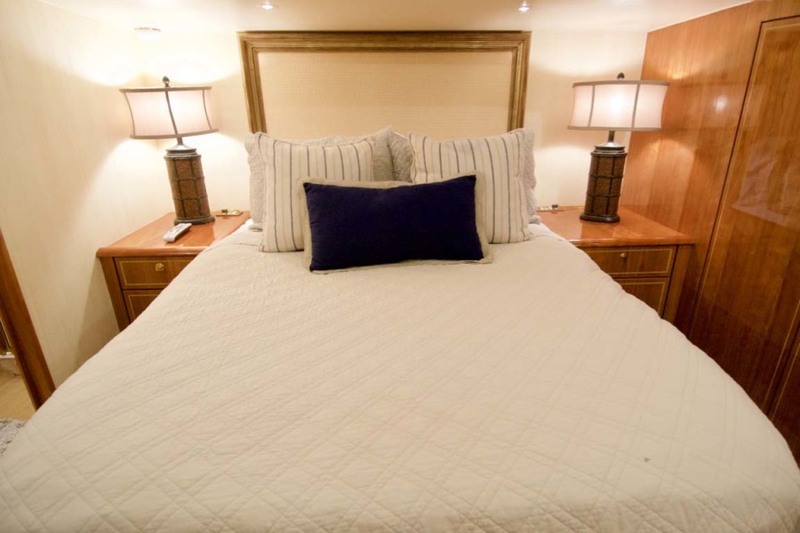 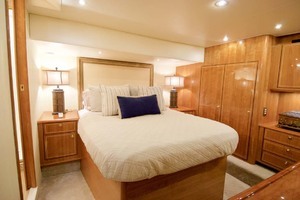 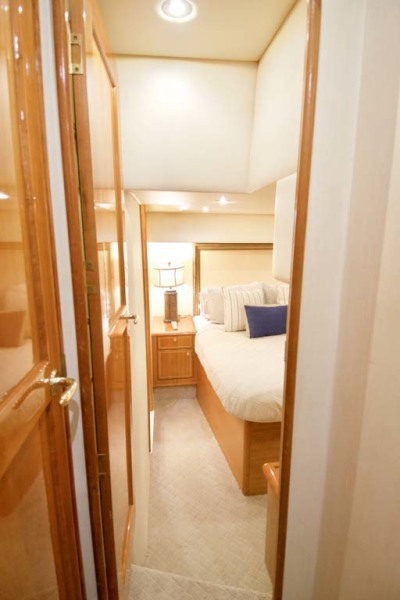 The master stateroom is aft, features a full beam stateroom, island style queen berth, full head with shower, large hanging lockers, built-in dresser, dual nightstands, and large flat screen TV. 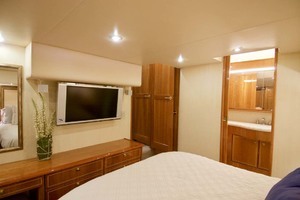 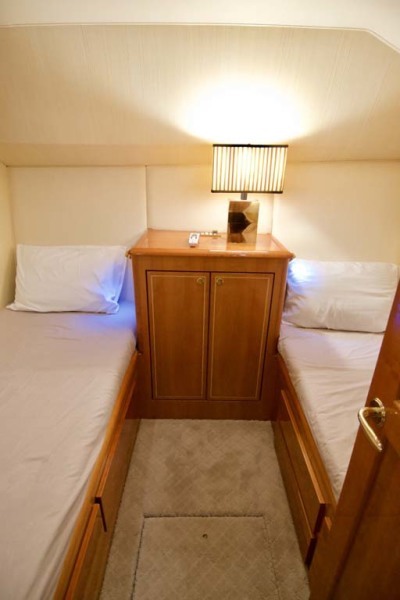 All staterooms feature carpeted soles, air conditioning and recessed lighting.The engine room is accessed in the cockpit.